DesignFix, Frontend.com’s societal needs programme which connects students with professional designers, has once again been recognised at the IxDA Interaction Awards. 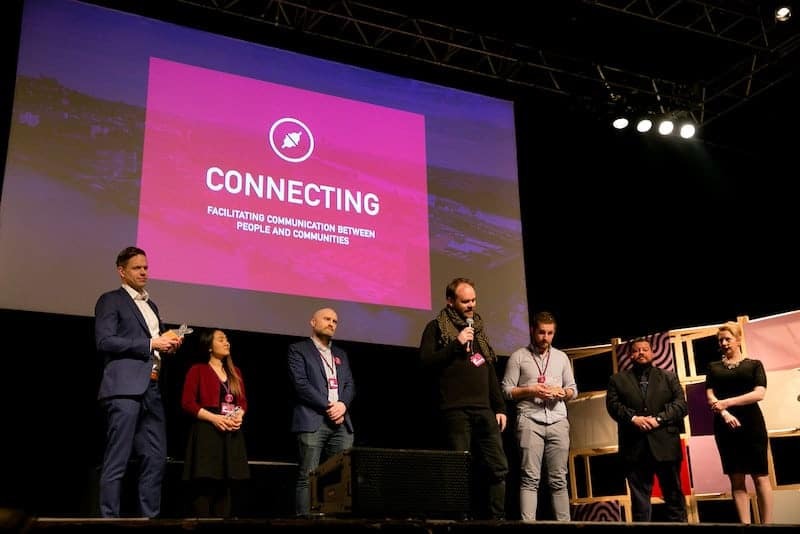 ‘Moot’, a platform concept that would enable citizens and representatives to communicate with one another directly was awarded the Best Concept and Best in Connecting Category awards at the ceremony in Lyon. The concept was created to help communicate, and make tangible, the design principles featured in our white paper, Rules of Engagement: Design Principles for Civic Dialogue in a Post-Truth Era. The IxDA Interaction Awards are the most prestigious ceremony for User Experience and Interaction Design in the world, so we are delighted that our work is once again being recognised at this level. —Frank Long, Director of Frontend.com. We would like to see more projects in this vein, for projects like Moot to continue iterating. These are problems that have to be solved in the real world through a messy process of trying, failing, getting better, and trying again. To see the Moot design concept and explore the design principles informing it, visit www.frontend.com/engage.